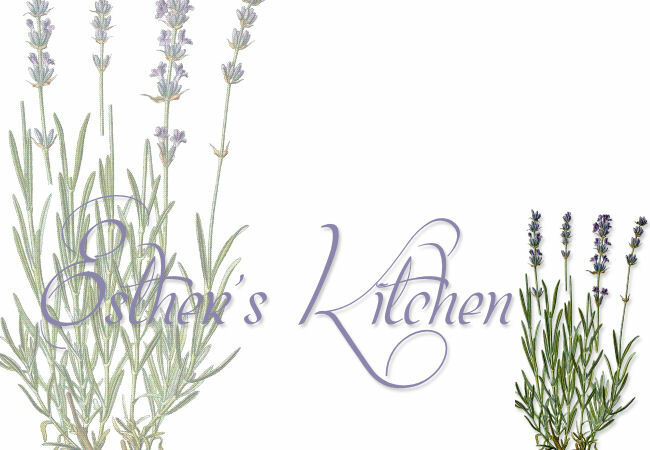 Esther's Kitchen and Garden: Chili Peppers Are Good for You! Being from Peru, chili peppers or specifically ajis are a way of life. 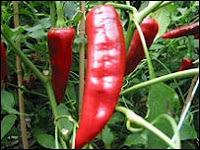 How providential that a recent study in England has found that an ingredient in chili peppers may kill cancer cells. They found capsaicin, an ingredient of jalapeño peppers, triggers cancer cell death by attacking mitochondria - the cells' energy-generating boiler rooms. Now, in other articles, it isn't necessarily just the jalapeño that has the ingredient capsaicin. The other day, I did buy a Hawaiian chili plant. Some have already turned red, so what to do with them? I think I will turn them into a fresh chili sauce that will go well with boiled potatoes or boiled meats. 3 green onions stalks, coarsely chopped. In a small chopper, food processor or even a blender, process all ingredients until smooth. It may be watery. You can add more basil leaves if you'd like. Variation, add queso blanco (a fresh Puerto Rican cheese) or cottage cheese to some of the mixture for a cheese-y sauce. Serve with boiled potatoes, boiled yuca or even boiled meats.